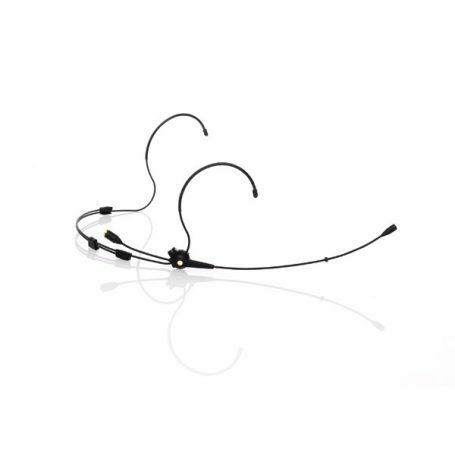 High-quality, headset vocal microphones from Sennheiser. A built-in transmitter automatically adjusts to a corresponding G3 receiver with a simple push of the receiver's sync button. The microphone provides rich sound while minimising the risk of feedback. Headset radio mic / transmitter. XLR cable to connect to mixer or other devices. The rugged Sennheiser G3 EW 100 rack radio receiver provides proven transmission reliability and flexibility. 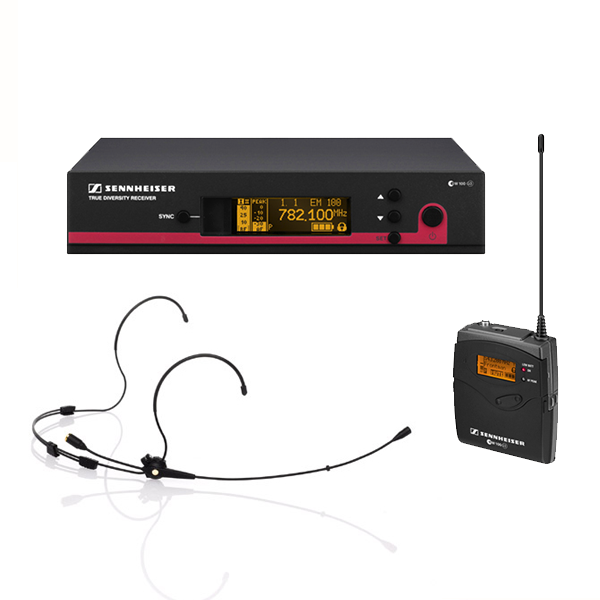 Hire wireless mic systems from Sennheiser; microphone systems that offer superb performance at a great price. 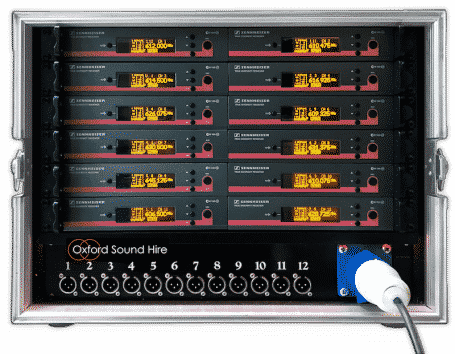 Oxford Sound Hire supply a choice of handheld radio mics, flesh coloured headset mics, lapel microphones or tie clip mics for hire. With its improved design and new features, the rugged Sennheiser G3 EW 100 rack radio microphone receiver is ready for the road with it’s proven transmission reliability and flexibility. 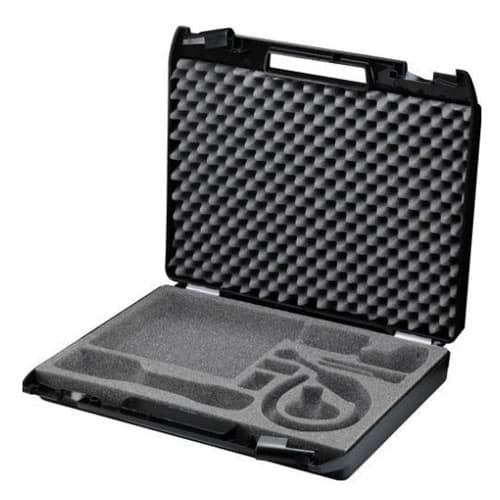 Multichannel radio mic hire; simplicity and road-tested reliability, pre-assembled in power-isolated road-cases. Fully Licensed microphone hire systems available as multi-hire microphone units. Ideal for live music performance, drama and the stage, theater, presentation hire, award ceremonies and public events. Full and comprehensive support is provided as standard. • Handheld or Headset radio microphone & transmitter. • Sennheiser G3 EW100 radio receiver. • XLR cable to connect to mixer or other devices. 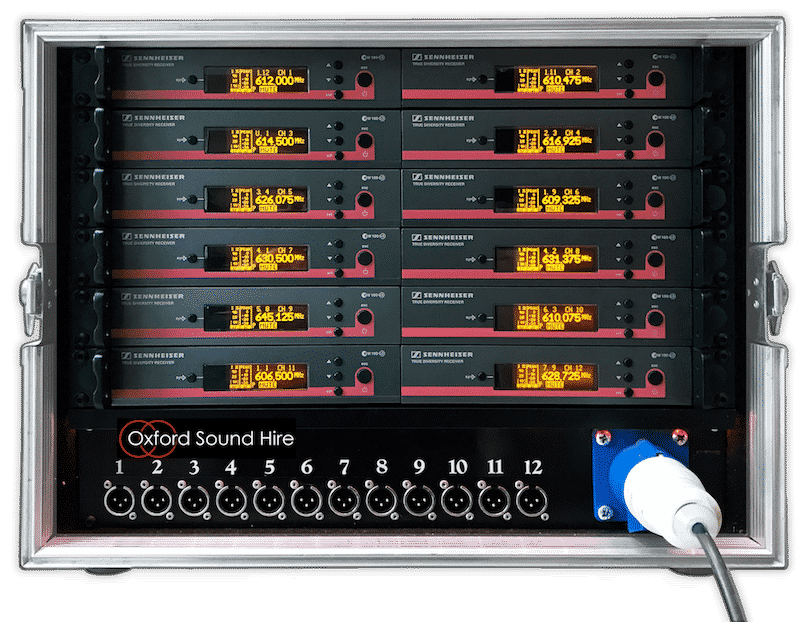 Multichannel radio microphone hire; simplicity and road-tested reliability, pre-assembled in power-isolated road-cases. Fully licensed radio mic hire systems available in up to 16 channel units. Ideal for live music, stage, theatre, presentation, award ceremonies and external events. Full and comprehensive support is provided as standard. Sennheiser EW100 G3 wireless radio microphone. Hire handheld wireless microphones for use on stage for musical performance, drama and theater productions and during presentations. SKM 100-835 G3 cardioid vocal microphone, EM 100 G3 true diversity receiver with backlit graphic display, MZQ 1 microphone clip. Rugged rack receiver utilising true diversity for optimum reception. 42 MHz bandwidth with 1680 tunable UHF frequencies. 20 frequency banks with 12 preset frequencies each, plus a user-programmable bank.